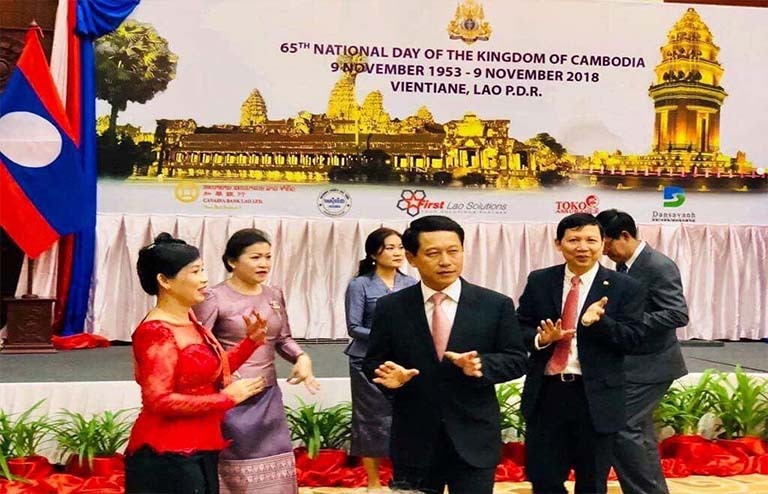 The Royal Embassy of Cambodia in Vientiane, Lao PDR hosted a reception to mark the 65th National Day of the Kingdom of Cambodia and the 62nd Anniversary of diplomatic relations between the Kingdom of Cambodia and Lao PDR on November 9, 2018. H.E Saleumxay Kommasith, Minister of Foreign Affairs of the Lao PDR was the Guest of Honour during this reception. 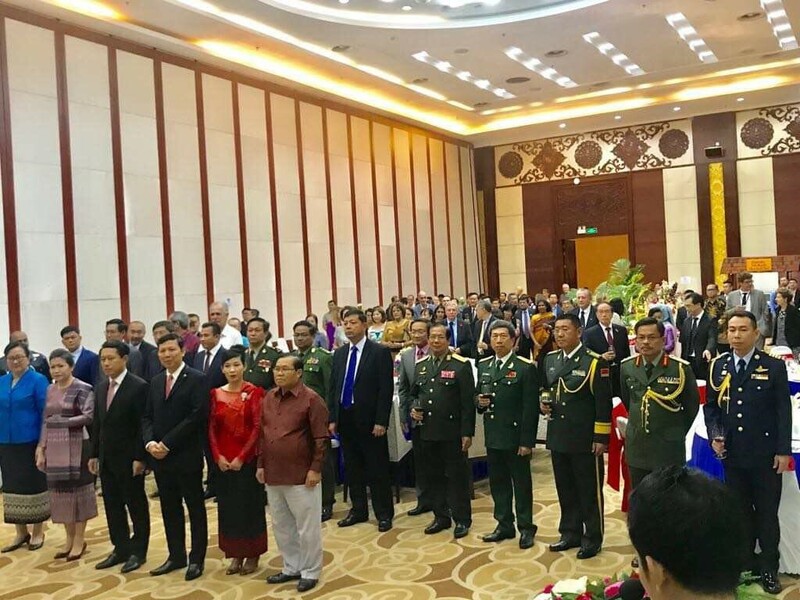 More than 200 guests comprising of H.E Sengnounane Sayalath, Vice President of the Lao National Assembly, the Lao PDR government ministers, Ambassadors, senior officials, and Cambodian working and residing in the Lao PDR attended the function held at the Don Chan Palace Hotel, Vientiane. In his welcome remarks, Ambassador of the Kingdom of Cambodia to the Lao PDR, Mr. Cheng Manith highlighted the remarkable achievements that Cambodia have been achieved since the Independence was proclaimed in 1953, and particular since the implementation of reform called the Triangular Strategy from 1998 under the wise leadership of Samdech Techo Hun Sen, Prime Minister of Cambodia. Cambodia has transformed from the war torn kingdom to a peaceful kingdom. Cambodia has achieved economic growth of 7% per annum over the past two decades. Cambodia has moved up classification wise into a lower-middle income economy by the World Bank Group in 2016. Cambodia significantly reduced poverty rate to below 10% in 2017 compared to 50% in 1992 and absolute poverty in 1979. Cambodia’s economic growth remains strong, projected to reach around 7% in this year and in the medium term. 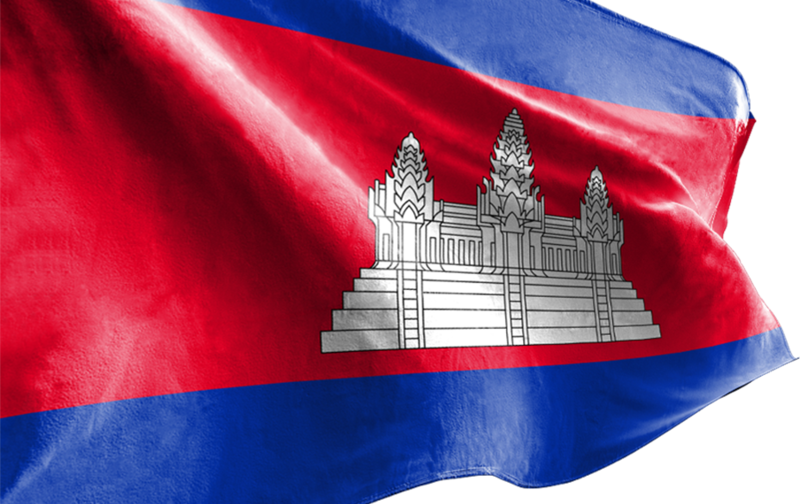 Cambodia has a vision to be a high middle-income country by 2030. 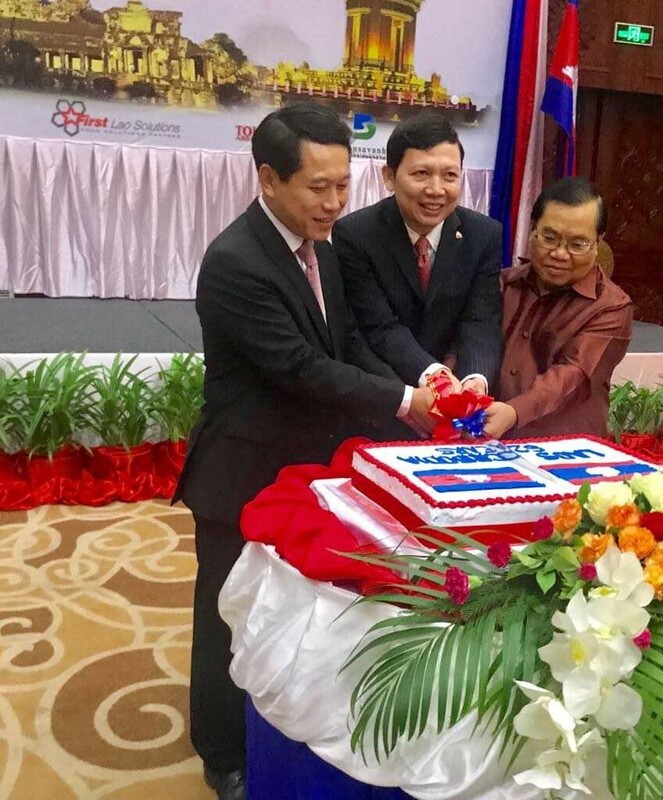 On bilateral ties, Cambodia and Lao PDR enjoy traditional friendship, good neighborliness and brotherly solidarity with the people of the two countries joining hands in the fight for national independence against the same foreign invaders. Such good relations have been developed and cherishes constantly since the establishment of diplomatic relations between the two countries on 15 June 1956. Bilateral relations are characterized by a regular exchange of visits at all levels. These exchange of visits have promoted and strengthened mutual understanding, trust, effective and multidimensional cooperation between the two countries.